Guacamole – quick, easy and loaded with nutrients. Grab some chips and dig in! Raise your hand if you’re an avocado lover? Me! Me! 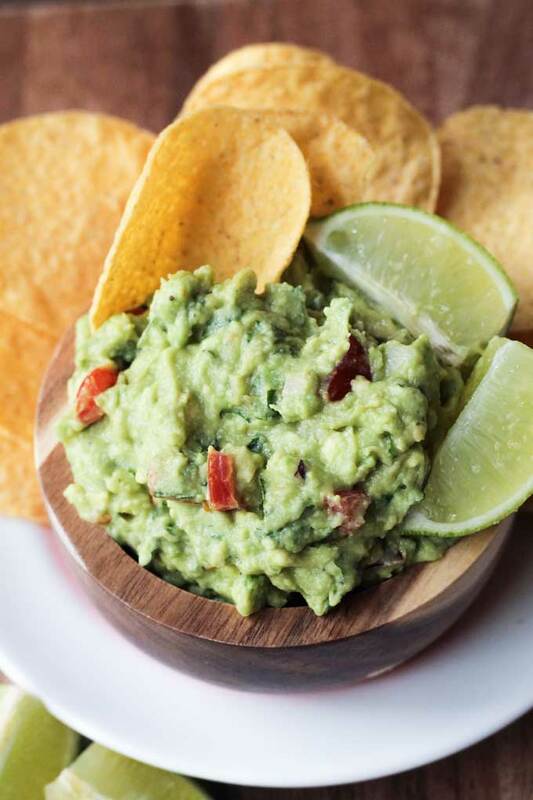 The only thing that makes an avocado better is turning it into guacamole. 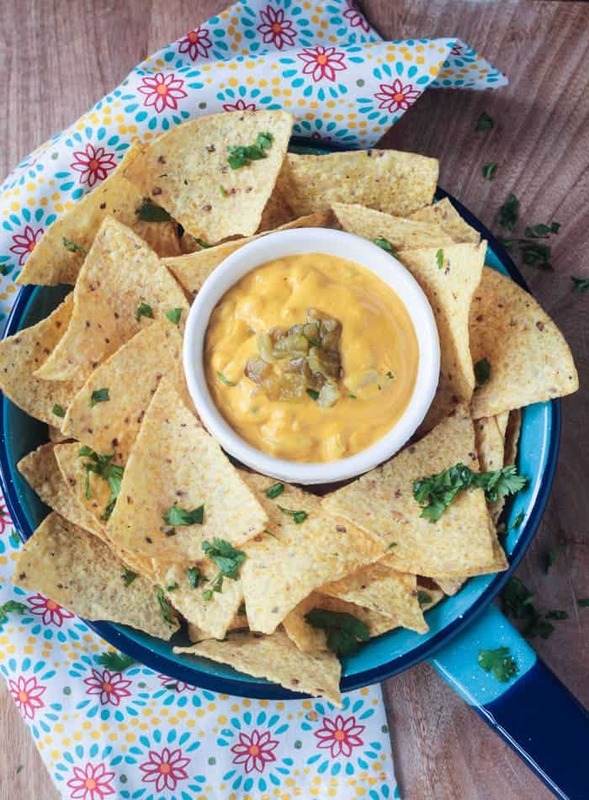 Guacamole was originally developed in Mexico, so of course, it pairs perfectly with all of your Mexican favorites like tacos and taquitos and even TexMex style chili. The biggest component of guacamole is, obviously, avocados. Avocados are incredibly high in fiber. They are also high in Vitamin K, Folate, Vitamins B6, E and C and Potassium. 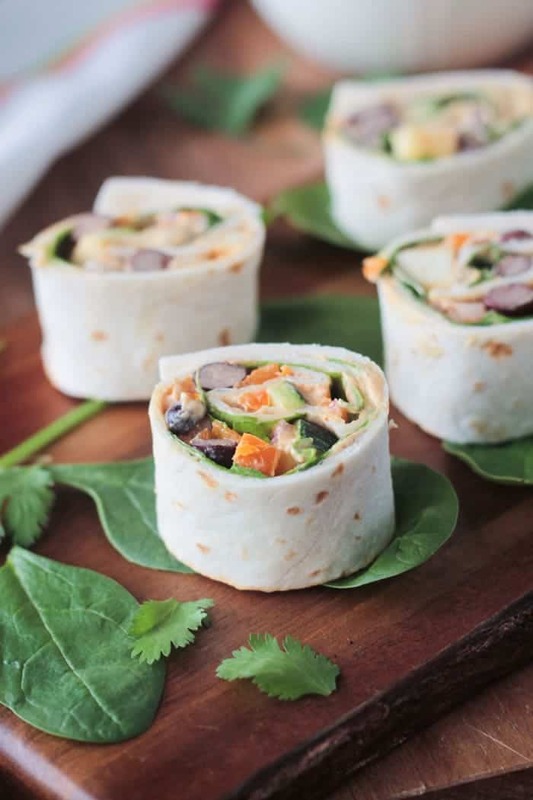 Avocados also have a unique ability to increase the amount of lycopene and beta carotene absorbed when eaten with foods high in those antioxidants (think spinach, carrots, tomatoes), so top your salads and veggie sandwiches with this green fruit! The benefits of avocado don’t stop there. They are also known to have anti-inflammatory benefits and cardiovascular benefits due to the healthy fats they contain. I make my guacamole with tomatoes, red onion, cilantro, jalepeño, and lime juice. Remember what I just said above – avocado and tomatoes were meant for each other, nutritionally speaking. The bottom line: feel free to eat your avocados! And start with this easy, healthy, delicious guacamole! I hope you love this healthy guacamole recipe as much as we do. If you try it, please come back and leave me a comment below with your feedback and rating. You can also find me on social media. Be sure to tag @veggie_inspired and #veggieinspired so I’m sure to see it. Enjoy! 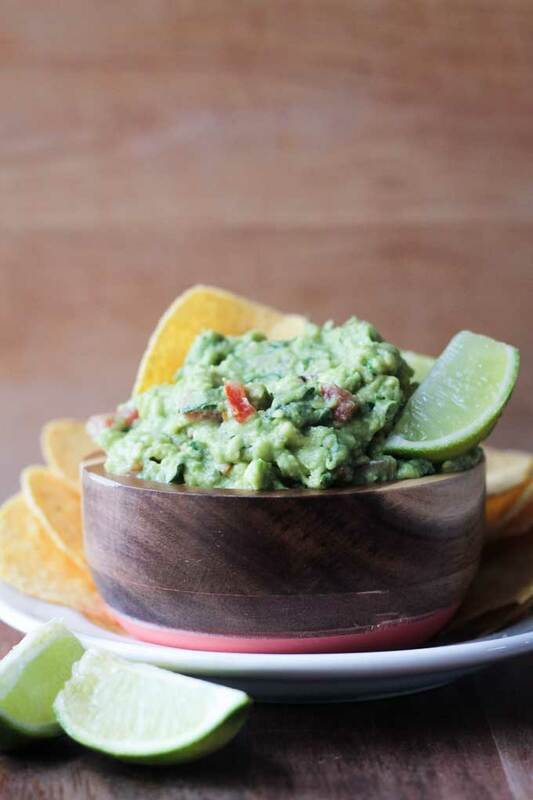 A quick and easy recipe for the BEST guacamole! In a medium bowl, mash the avocado flesh with a fork or potato masher until smooth. Serve immediately or chill until serving. 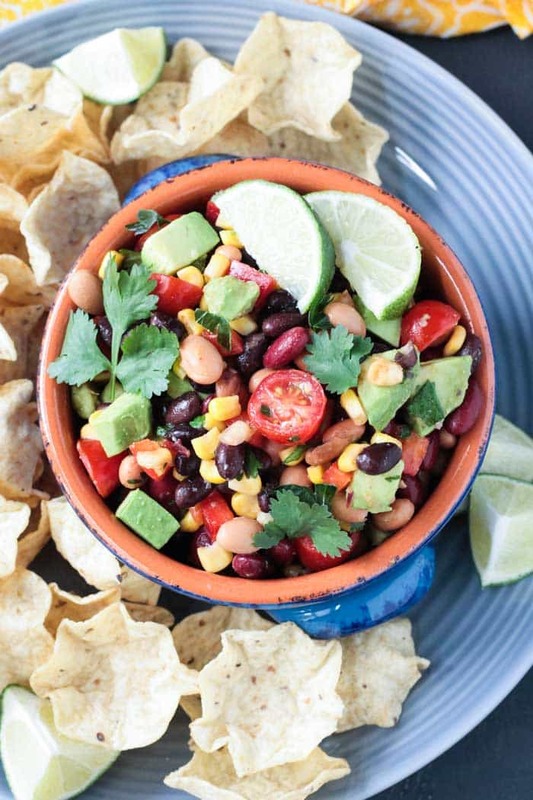 ~Guacamole goes great with tortilla chips, of course, but it's also great as a spread on veggie burgers, veggie sandwiches, wraps, atop a big bowl of chili or soup, etc. YUM! This is insanely good. I added salt, pepper, and garlic powder. Tastes really great with bell pepper slices (specifically orange). Thank you, Hallie! I’m so happy to hear you loved it! I love peppers and guacamole together – reminds me of fajitas. Thank you so much for stopping by and leaving your feedback. Have a great week! Yum! 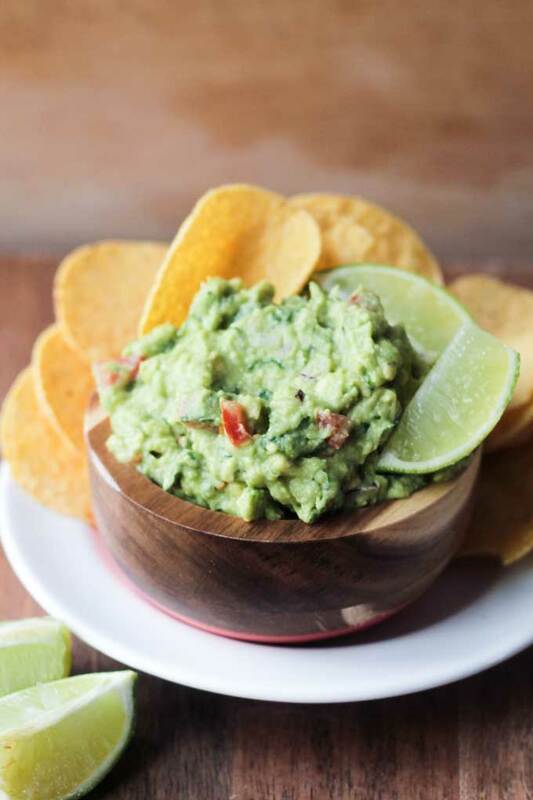 I love guac and love how simple this recipe is. Super simple, but so good! Thanks, Becky!